This article will explain the many advantages PoE has to offer. What began as an effort to squeeze more speed and power out of existing cabling has become a force within the IT networking marketplace. 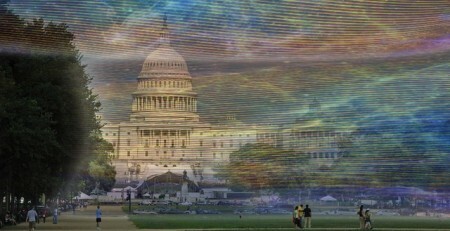 Millions of dollars annually are being channeled into its development. The green movement is definitely saving technology some green. Increased network efficiency allows organizations of any size to design the benefits of Power over Ethernet into their networks. PoE allows you to add a device in awkward or remote locations. It is great for wireless access points, CCTV camera placements, and digital signage on the tops or sides of skyscrapers. It is suitable for IT network installations as well. Cables for IP devices and small, out-of-the-way networks can be boosted for distances beyond 100 meters/ 300 feet for a single device through the use of PoE injectors. PoE can be used over existing copper telecom infrastructure. PoE is not recommended for sending network data over long distances, or for extreme temperatures unless industrial designation is present. One cable for data and power does not presume quality is thrown aside. On the contrary, the reason this technology wave is gaining such traction is that ample power and data speeds are being improved on with each new standard. 1. What type of data speeds does PoE offer? 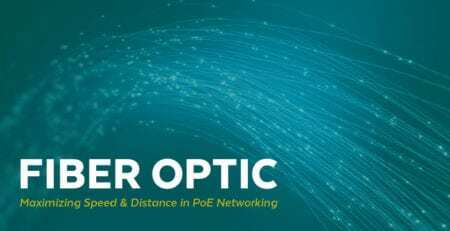 PoE costs less than fiber and is delivering higher and higher data speeds. Thanks to widespread adoption of IEEE 802.3bz technology, manufacturers are spending more on product development. 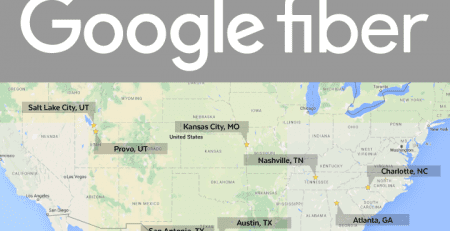 Data delivery rates are now at 1 Gbps (10/100/1000 Mbps) over Cat5e and Cat6. 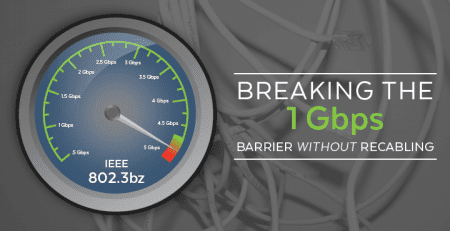 The new IEEE 802.3bz standard has the capacity to deliver speeds of 2.5 to 5 Gbps over 100m with an immediate view toward 10 Gbps. High-definition streaming only requires 400 Mbps. A network could easily stream a training video while others work and check email. PoE has more than enough data speed to support devices in a small LAN. 2. What levels of power can PoE deliver? PoE does not require an additional power supply. All over one cable. The previously developed standard—IEEE 802.3at—provides 30.8W of power. 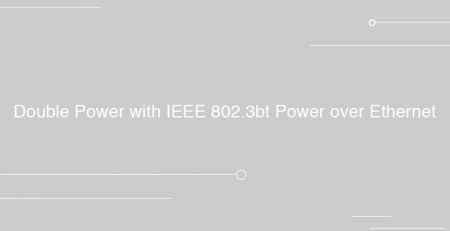 The most recently developed standard—IEEE 802.3bt—provides 60W of power. 3. 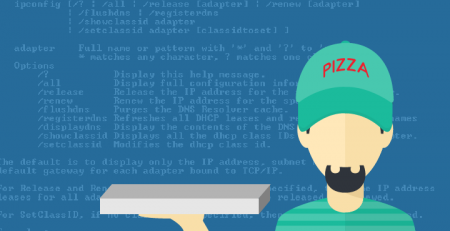 What type of devices does PoE support? PoE can support a huge range of devices, and that list is expanding. In fact, manufacturers are developing network devices with the convenience of PoE in mind. PoE technology works indoors and outdoors. In places where there are extreme temperatures, installers keep cables and devices in protected areas like under the eaves or in the shade. Even the latest standard, IEEE 802.3 bt supports legacy devices. These are devices not manufactured to PoE standards. These devices may be added to a PoE network inexpensively through the use of a splitter. PoE at devices include things like video-phones, speed dome cameras, and WiMax wireless access points. 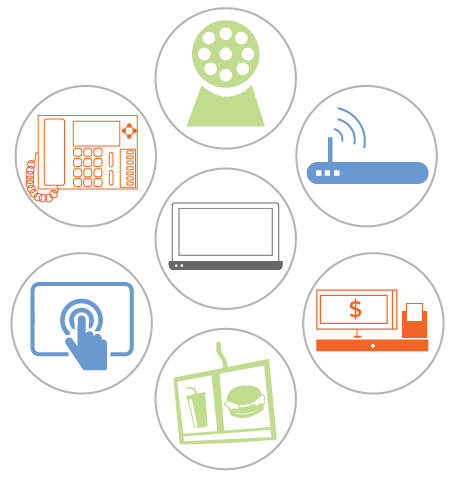 PoE bt devices include things like thin clients, point-of-sale (POS) systems, laptops, and digital signage. 4. What types of cost do I expect with a PoE installation? PoE costs less to install than fiber beginning with the cabling. Cat 5e/Cat6 Ethernet cable, which appears in many existing infrastructures, as well as, the more recent Cat6a cable are considerably less expensive than fiber over the scope of an installation. 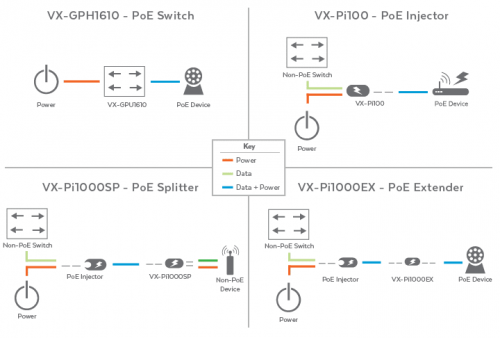 Since both the PoE networking equipment and compatible devices are also becoming plug and play, PoE is making network upgrades feasible from both a budgetary and IT resource perspective. And because power delivery is through the cable there is no need to hire a contractor to install an electrical outlet for a remote device. From a technological standpoint, PoE is as green as you can get. It all started in an effort to get better signals on existing wiring. 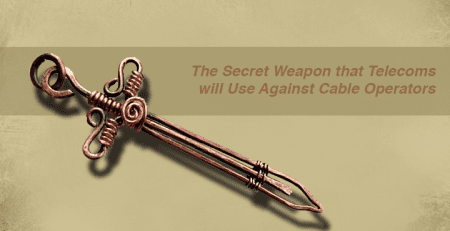 If you’d like to learn more how this fascinating technology got its start, click here. That’s great. 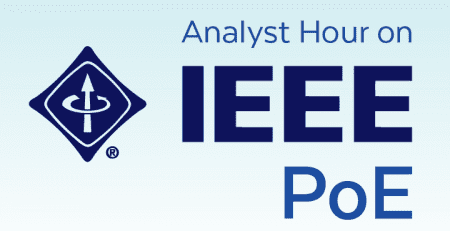 It sounds good after reading this blog about Power Over Ethernet (PoE) cables.